What makes a good spindle repair shop? What makes A Good Spindle Repair Shop? If you have a machine with a damaged spindle and you want to know the fastest, most cost effective way to get a high quality repair, you may be asking these questions: Who can repair my spindle back to OEM standards? Do I have to go to the OEM to have my spindle repaired? How long will it take? Can I repair the spindle myself? Selecting the best place to repair your spindle may save you several thousands of dollars, both up front and in the long term. Below are some questions that we think you should know the answers to before you send your spindle out for repair. Click on the question to see our answer. 1) Do I need to use the OEM to repair my spindle? If your machine is off warranty using a qualified independent spindle repair shop can make good sense. Independent spindle repair shops are more price competitive and often have better customer service. So you don’t have to let the OEM hold you over a barrel. But be sure to check out the shops qualification and ask the necessary questions. 2) Can an independent spindle repair shop match the quality of the OEM? There are a few independent repairs shops that can meet or exceed OEM quality and performance with their repairs. Additionally, there are some major, top name manufacturers of high end CNC machines that send their overflow and legacy repairs to HST; both Japanese and European*. We use the same brand bearings as the OEMs. So it may be that even if you send a spindle to the OEM for repair, it may end up being repaired at HST. Unfortunately you will have to pay OEM prices. *Sorry we are not allowed to reveal the names of the OEMs who send us spindles to repair. 3) What things should I look for when selecting a qualified independent spindle repair shop? While using an independent spindle repair shop can make good sense, you definitely want to be certain that they are fully qualified to handle your valuable spindle. The questions below can help you determine who is qualified. 4) How much experience does the spindle repair shop have? How long have they been around? Has their repair quality stood the test of time or are they a “Johnny comes lately”? At HST we’ve been repairing machine tool spindles since 1986. That’s all we do. It is not possible to be in business for over 29 years doing one thing unless you are good at it. To learn the nuances of the wide variety of spindles that we see many years are required. A good independent spindle repair shop will have decades of experience. HST has that experience. 5) Do their spindle repair technicians have OEM training and are they certified in other relevant skills? At HST our spindle repair technicians have spent time training at certain OEM facilities. Additionally certain OEMS visit our facility to give our technicians “hands-on” training. We also invest in other relevant training courses such as balancing, vibration analysis, soldering, and motor control. We regularly send our technicians to different training courses to keep them up to date with the latest trends in associated skill sets. And we have representatives from top name brand bearing manufacturers provide seminars at our shop. OEM factory training and regular relevant course studies mean that our technicians know their stuff when it comes to spindle repair. 6) Do they have in-house grinding capability or do the outsource GPG work? Super Precision grinding capability is an absolute must in order to guaranty superior spindle repair in a timely manner. Without in-house capability a spindle repair shop will either take much longer to complete the repair or be inclined to accept a little less than perfect dimensions or both. At HST we can grind critical surfaces to micron precision. Because our grinding is in-house we never have to compromise or lose critical days shipping a part back and forth to a vendor. At HST we do not have to compromise with our super precision Kellenberger grinder. In-house grinding means precise dimensions, perfect finish and fast turnaround. Your machine is not down waiting for UPS to deliver parts to or from a vendor. 7) Is the repair shop fully equipped with all of the specialty equipment needed for OEM quality spindle repairs? Proper spindle repair requires a substantial investment in a wide variety of specialty equipment. At HST our shop is fully equipped with equipment specifically purchased to ensure that our spindle repairs meet or exceed OEM standards. 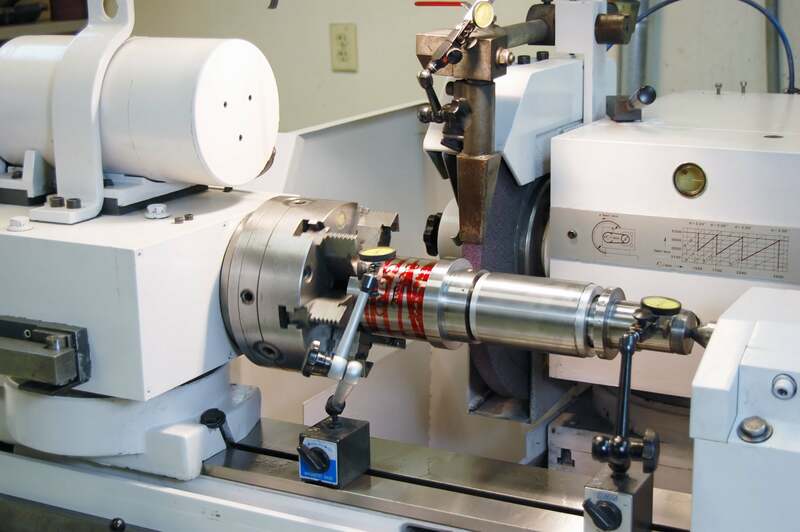 High speed, high frequency spindle drives, certified test bars, dynamometers for testing drawbar pull force, flow bench for bearing lubrication, balancing equipment, and vibration analysis equipment are just a few of specialty items needed for OEM quality repairs. At HST we have all of them and much more. 8) Are they a certified Big Plus repair shop and can they repair other simultaneous contact tool interfaces such as HSK? At HST we are certified Big Plus and we maintain all of the tooling and gaging to make sure our simultaneous contact spindle repairs such as HSK style meet OEM specification. To be a certified Big Plus spindle repair shop requires calibrated and certified test equipment, a climate controlled work environment and superior skill. It means that a shop can meet OEM specification for tool interface repair. 9) Are spindles assembled in a clean and climate controlled environment? At HST all of our assembly area is climate controlled. We have clean room tiles, epoxy sealed floor and filtered air in our assembly area. Bearing lubrication is performed in a separate filtered air flow bench. Contamination from air born particulate can result in premature bearing failure. At HST we maintain a clean room environment. 10) What bearings do they use? This is an important question. Why? We have found that some competitors use generic non-name brand bearings. That may save you a few thousand dollars until they fail prematurely. At HST we only use top name brand Super Precision Spindle bearings. All of our bearings are ABEC 7 or ABEC 9 and they are all purchased through authorized distributors. To learn why this is important visit our blog on counterfeits. From time to time we are told that the spindle has special bearings that only the OEM can get. We have encountered special bearings. However, we have never encountered bearings that we could not obtain. We pledge that we will only use bearings of equivalent OEM quality in your spindle repair. 11) Can they provide emergency repair service? We offer Quick TurnAround (QTA) service for a 15% up charge. With QTA your spindle repair goes to the front of the line. Any parts needed are overnighted. With our QTA program we have repaired spindles in less than 48 hours. 12) What is their warranty?